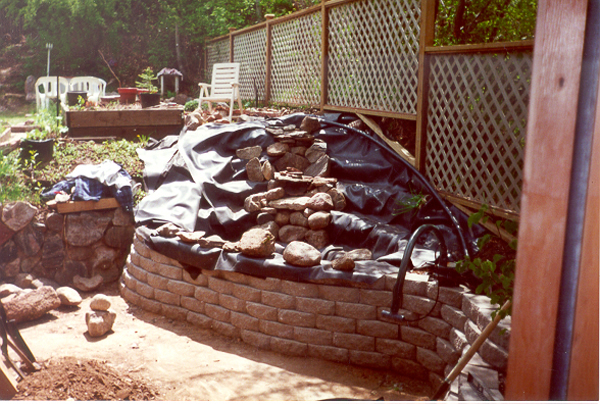 Water gardening or the backyard pond has been steadily increasing over the past few years and so has the technology. 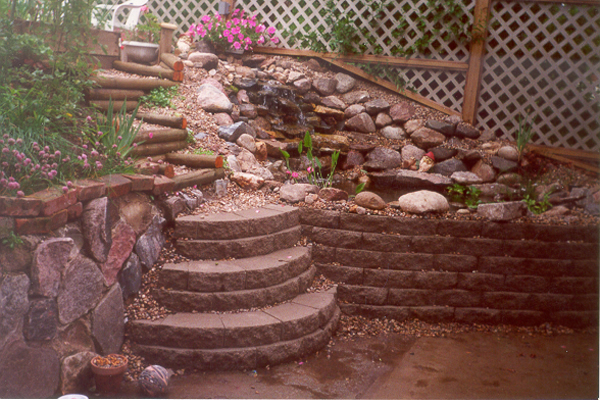 Ponds have gone from the hole in the ground with a small fountain nozzle in the middle to a living ecosystem that almost entirely looks after itself complete with waterfall, aquatic plants, and fish. 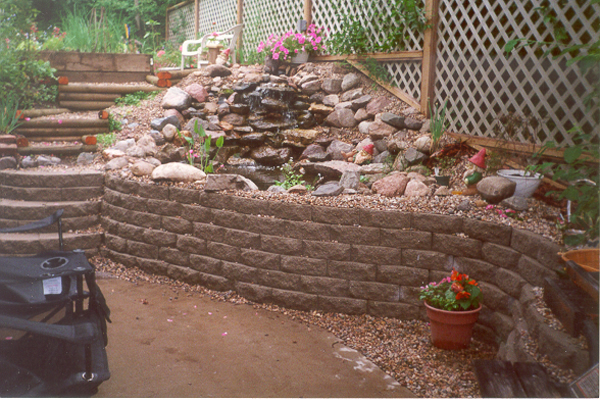 It has gone from a mosquito breeding area to becoming the focal point of your backyard landscape and bringing with it unmatched pleasure and relaxation. With modern filtering techniques it is now possible to have crystal clear water throughout the summer so that you can actually see the fish you have swimming in you pond! 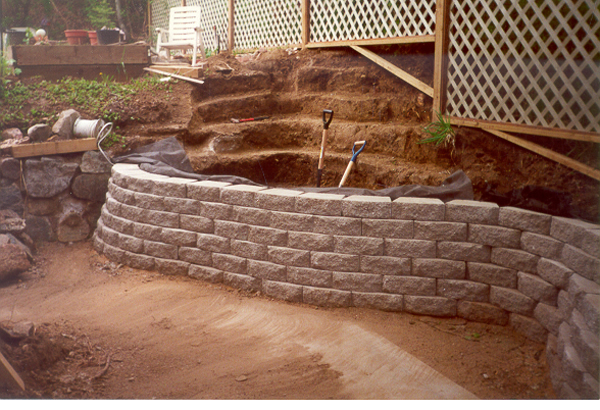 We will help you design your pond to suit any size of area you desire and equip you with all the material necessary to build your backyard retreat. Add lights - above, floating, or underwater, and your pond takes on a whole life. And of course there is nothing more relaxing than the sound of water trickling over the water course and into the pond. 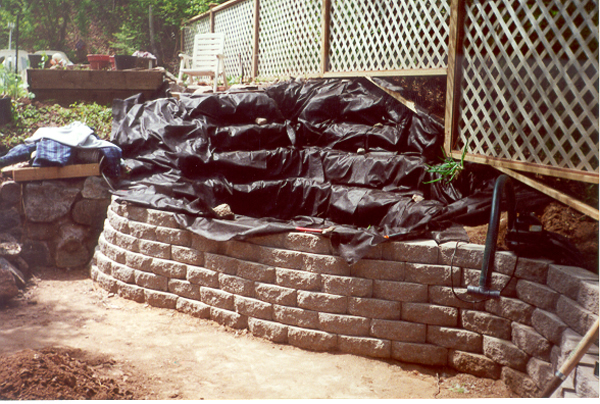 We can custom cut our "fish safe" 45 mil EDPM pond liner to any length and width up to 20 feet. We also stock adhesive for adding length or width to your pond or just patching a hole. Our pumps are of the most energy efficient which is an important factor when choosing a pump. 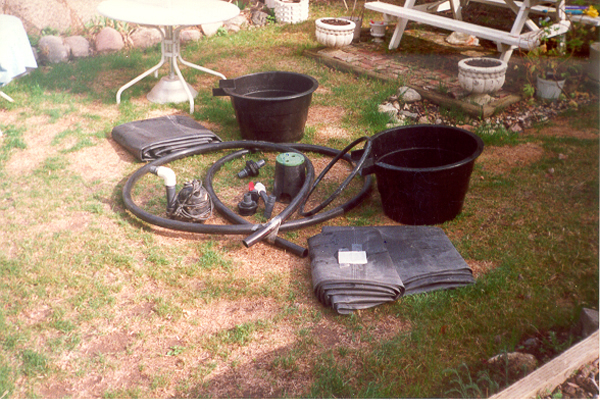 Please see our FAQ for more or contact us with questions or even a price quote for your pond. We will ship anywhere in North America. The product is layed out before installing and checked. The site is excavated for waterfall, water course, and pool. 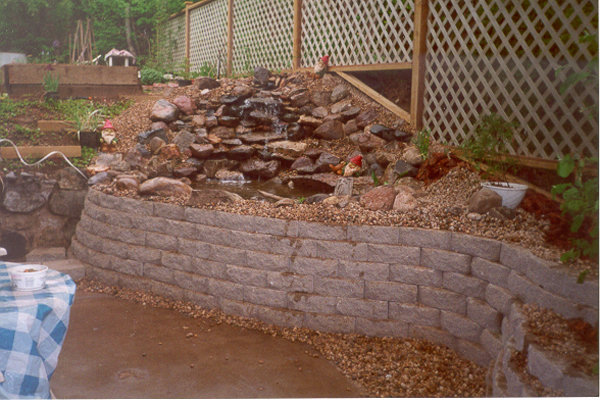 A retaining wall is incorporated into this pond. 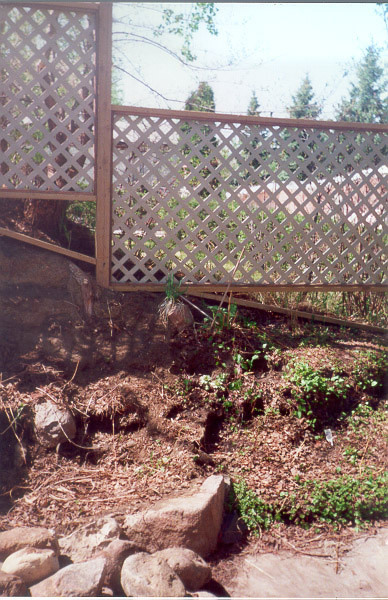 The liner is stretched out and installed over the excavated area. 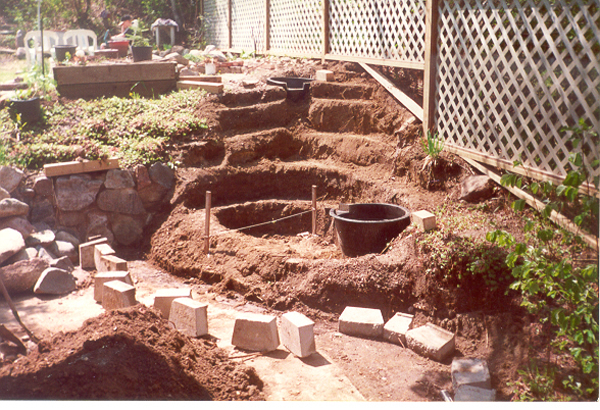 Plumbing and then rock for the water course is added. The remainder of the aggregate is added and of course just add water! Add some plants, ornaments, and even fish....then sit back and relax.